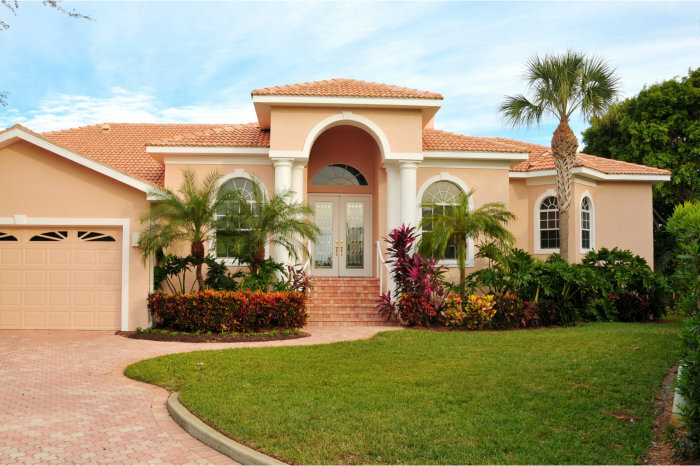 If you are looking for Davie homes for sale, you may wonder what type of homes are available in the area. Let’s take a look at stats from several of the top Davie neighborhoods. You can use the links in each description to see a list of homes currently for sale in that neighborhood. Homes in Emerald Springs Estates were mostly built between 1996 and 2004. It is a gated community that is home to 74 single family homes on estate-sized lots. Homes range from approximately 3,000 square feet to 7,000 square feet. The homes usually have between four and seven bedrooms and three to six baths. The median sales price is around $850,000. Building in Forest Ridge started in 1985. The community has a club house and tennis courts. There is a variety of homes in this neighborhood. Square footage ranges from around 1,200 to 5,300. You can find a two bedroom home or one with six bedrooms, and up to six baths. The median sale price is around $470,000. The clubhouse at Harmony Lakes provides a center of activity for its residents. The homes were built between 1983 and 2001. The median sale price in the neighborhood is around $300,000. Homes range from approximately 1,300 square feet to 4,000 square feet. The median sales price is approximately $300,000. This neighborhood was built between 1997 and 2002. Home sizes in Imagination Farms range from around 2,000 square feet to 5,500 square feet, and have between three to seven bedrooms and two to five baths. The median sale price is $695,000. The homes in Long Lake Estates were built between 1999 and 2003. You can find a variety of home styles and sizes, ranging from around 3,000 square feet to almost 7,000 square feet. The homes usually have between four to six bedrooms and three to five bathrooms. The median sale price is approximately $1,000,000. Some of the homes in the neighborhood have lake front locations. Some of the homes in Long Lake Ranches were built starting in 1996, but most were built around 2002, and some were even completed in 2008. Home sizes range from around 3,000 square feet to 8,000 square feet and boast four to seven bedrooms and three to seven baths. The median sales price is $1,200,000. The median price for homes in Riverstone is approximately $850,000. The neighborhood was built between 2003 and 2006. Home sizes start around 3,000 square feet and go up to just over 6,000 square feet. The homes have between three and eight bedrooms and three to five baths. The median sales price is $845,000. The median home price in Shenadoah is $368,000, but you’ll also find homes that sell at or over $1,000,000. The neighborhood was built between 1986 and 2000. Homes range in square feet from 1,000 to almost 5,000. You’ll find homes with up to five bedrooms and baths. The homes in The Ridge on Knob Hill were built between 1998 and 2001, and have square feet that ranges from around 2,000 to almost 4,000. While the median sale price is $525,000, you’ll find homes with a sales price of $1,000,000 or more. Homes here typically offer three to five bedrooms and two to three baths. Vista Filare homes were built between 1995 and 1999. While it is one of the older neighborhoods, the properties are very well maintained. The median sales price is $375,000, and the homes typically range from around 1500 square feet to 3,000 square feet. Vista Filare homes offer between three to five bedrooms and two to three baths. The top Davie neighborhoods described above represent some of the best places to live in Davie, Florida. As you can see, there are many neighborhoods to choose from, and you need to choose your neighborhood first when you’re looking at Davie homes for sale. Choosing your neighborhood first will avoid the problem of falling in love with a home, then discovering that the neighborhood doesn’t support your lifestyle. You need to consider amenities, location, the neighborhood feeling and more. And, that’s where we come in. The members of the Teri Arbogast Team are local experts. We can help you clearly define your requirements and find the top Davie neighborhoods that are going to be the best for you and your family.